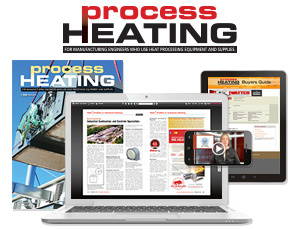 Process Heating magazine was launched in 1994 to provide a single source for temperature-related information for manufacturing engineers employed in the process industries. Process Heating's articles provide generic (non-company specific) how-to information to industrial heat processing equipment users. Targeted subscribers of Process Heating operate, buy, specify, design, purchase, recommend and/or maintain industrial heat processing equipment that creates, applies, transfers, controls, moves or removes heat, and/or measures, monitors or senses industrial process temperature. They focus on lower temperature applications — up to 1,000°F (538°C). For more detailed information on what topics and industries Process Heating covers, follow this link. 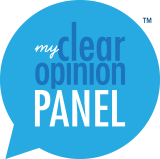 Thinking of submitting an article? Click here for the guidelines for prospective authors. Interested in submitting photography? Click here for the guidelines for cover photography. Process Heating publishes press releases from OEMs that manufacture equipment that creates, applies, transfers, controls, moves or removes heat, or measures, monitors or senses temperature, during the manufacturing process at no charge. The releases should be intended for industrial process heat equipment users employed in the process industries. Click here for the guidelines for press releases.